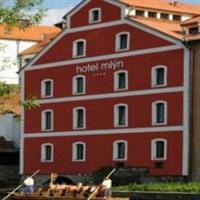 Discover all that Cesky Krumlov has to offer with Hotel Mlyn as a base. All hotel's guestrooms have all the conveniences expected in a hotel in its class to suit guests' utmost comforts. Each guestroom has internet access (wireless), bathtub, shower, satellite/cable TV.The amenities and services offered at this Cesky Krumlov accommodation include shops, room service, disabled facilities, WiFi .The hotel provides a warm and welcoming service of international standard. To proceed with your booking at the Hotel Mlyn, simply choose your travel dates and fill in our secure online booking form.